LONG LET. Situated within a peaceful residential location, this lovely three bedroom house is well-presented throughout with a rear patio garden, two off-street parking spaces, three double bedrooms and lots of natural light. LONG LET. A wonderfully spacious 2 bedroom ground floor flat benefiting from a recent refurbishment throughout, and offering a substantial communal garden, spacious reception room and allocated off-street parking. LONG LET. Boasting simply stunning interiors with a stylish and modern décor, this superb five bedroom house is generously arranged over three floors with an exceptional eat-in kitchen, large rear garden and off-street parking. SHORT LET. Boasting simply stunning interiors with a stylish and modern décor, this superb five bedroom house is generously arranged over three floors with an exceptional eat-in kitchen, large rear garden and off-street parking. SHORT LET. Situated within a peaceful residential location, this lovely three bedroom house is well-presented throughout with a rear patio garden, two off-street parking spaces, three double bedrooms and lots of natural light. 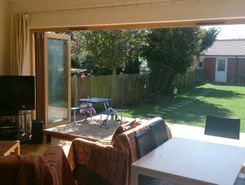 GO FOR IT A lovely ground floor one bedroom maisonette with private patio garden ideal for BBQ's moments away from Wimbledon Centre and Rail Station. 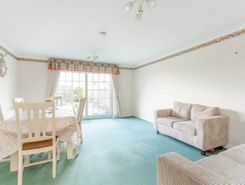 Available to view now call haart of Wimbledon today on . SHORT LET. A uniquely and beautifully designed two bedroom maisonette benefiting from a separate dining area with double doors leading to a private garden and a good location and Kingston Road. LONG LET. A uniquely and beautifully designed two bedroom maisonette benefiting from a separate dining area with double doors leading to a private garden and a good location and Kingston Road. 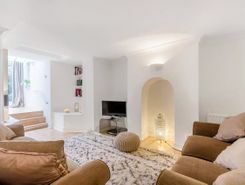 Property website TheHouseShop have used their expert knowledge of the Merton-Park in Greater London property market to help buyers, sellers, tenants and landlords save money when advertising and searching for property available online. Property marketplace, TheHouseShop.com, showcases property listings from private landlords, private sellers, high street agents, online agents and developers – meaning that tenants and buyers can find a unique selection of property from both professionals and homeowners. Whether you're a seller, a landlord, or an estate agent, you can use TheHouseShop property marketplace to advertise your properties to tens of thousands of buyers and tenants who visit the site each day looking for property in Merton-Park in Greater London and the surrounding areas. Private sellers and landlords can generate more interest from buyers and renters by using TheHouseShop's marketing boost options. Private landlords in Merton-Park in Greater London can use TheHouseShop to advertise their rental properties and find quality, reliable tenants for free. TheHouseShop showcases a range of houses and homes to rent in Merton-Park in Greater London including, flats, apartments, maisonettes, and bungalows, giving tenants a unique selection of rental property from professional agents and individual homeowners. Tenants use TheHouseShop to find affordable rental property in some of Merton-Park in Greater London's most desirable areas and can narrow down their search according to their budget, location and property specifications. Visitors to TheHouseShop will find a variety of Merton-Park in Greater London rental properties available to rent direct from the landlord including DSS rental properties, studio apartments, flats, 3 and 4 bedroom homes, semi-detached houses, terraced houses to rent and more. Tenants use TheHouseShop to find a unique selection of rental property direct from landlords as they won't be able to find these properties to rent anywhere else online. The Merton-Park in Greater London rental market is booming and savvy home hunters who rent property direct from the landlord can save money on admin fees and charges. 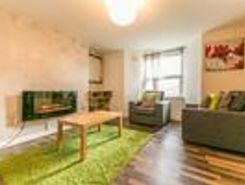 People searching for affordable rooms to rent in Merton-Park in Greater London can find cheap rental options in TheHouseShop's Flat Share section. Renting a property in Merton-Park in Greater London can be expensive, but tenants can find affordable Flat Shares in Merton-Park in Greater London's best locations for a fraction of the price of a whole property. TheHouseShop offer a Guarantor Service to all renters which allows them to secure a UK based guarantor to help secure their ideal rental home in Merton-Park in Greater London. TheHouseShop offer a free online rent calculator to help private landlords in Merton-Park in Greater London find the true value of their rental property. Private landlords using TheHouseShop can also access a variety of landlord services such as tenancy contracts, landlord insurance products, tenant referencing and rent guarantees. Tenant referencing on TheHouseShop allows landlords to screen tenants with rental credit checks and affordability calculations to ensure they find the best tenants for their rental properties. 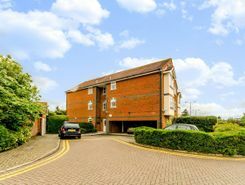 Renters looking for property to rent in Merton-Park in Greater London and the surrounding areas can sign up for free property alerts on TheHouseShop.com and receive instant email alerts anytime a new rental property meeting their requirements is added to the site. 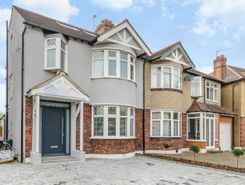 Landlords and investors can find a selection of cheap Buy To Let investment properties available from private sellers, developers and estate agents in Merton-Park in Greater London.